A engineering contractor has secured a new contract to deliver Southern Water’s Victorian sewer rehabilitation project in Thanet, England – a major infrastructure project valued at over £30 million. Terra Solutions Limited has entered into a new joint venture –TPMD. Made up of Terra Solutions Limited, Pfeiffer GmbH and Matt Durbin Associates, the venture will deliver phase two of Southern Water’s Thanet Sewer Rehabilitation Project which aims to repair and reline the century-old network. Lanxess is investing in its ion exchange resin production facility at the Leverkusen, Germany site. The company is optimizing its process technology and operating efficiency for a seven-figure EUR amount. The project is scheduled for completion in the first half of 2019. 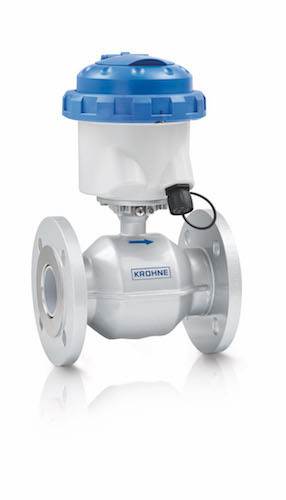 Krohne Inc. has begun manufacturing the updated Waterflux 3070 battery powered water meter at its newly opened flow and level instrument manufacturing and calibration facility located in Beverly, Mass. The device is the first all-in-one water meter with integrated pressure and temperature sensor. Simplified installation, integrated diagnostics, a long battery lifetime, remote communication options and low overall maintenance make the water meter ideal for installation in remote locations. The device now offers a mains power option with battery backup and a Modbus RTU communication option for transmission of readings, meter status, and alarms. Danfoss has named two winners of its ninth annual EnVisioneer of the Year award competition. Escambia County School District received the award in the End User category. American Water announced that, since its inception, the company has provided more than $1.3 million to more than 1,500 local fire departments through its Firefighter Grant program throughout American Water’s service areas in 12 states. The Design-Build Institute of America (DBIA) has announced the winners of its 2018 National Design-Build Project/Team Awards competition. The program promotes diversity in project size, sector, and geography while celebrating the innovative and collaborative teams who produce projects that inspire. This year’s winners, consisting of 29 projects across sectors including aviation, civic buildings, transportation, and water/wastewater, were recognized at DBIA’s Design-Build Conference and Expo on Nov. 8 in New Orleans. 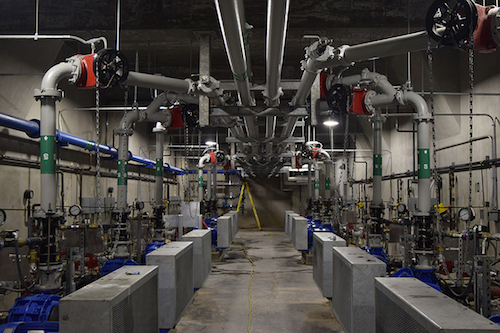 RM Clayton Water Reclamation Center Headworks. The members of Plumbing Manufacturers International elected Nate Kogler president of the 2019 PMI Board of Directors.